Free flowing rivers are the lifeblood of this planet. Explore the creeks and rivers while you can! Kayaking in Colorado and creeking the Front Range of Colorado has many different elements of mank. From roadblasted, rock-filled drops, to chemical and diesel spills in Clear Creek just downstream from superfund sites, to wild and pure alpine remote steep and technical creeks, what you find in the drainages ranges widely in Colorado. Whitewater kayaking can teach us many lessons that life demands we know. Creeking and kayaking have taught me much about myself, and and even more about the rivers and creeks in this world. Exploring creeks and rivers in a kayak provides the active environment classroom setting for biology, geology, hydrology and the applied laws of physics. 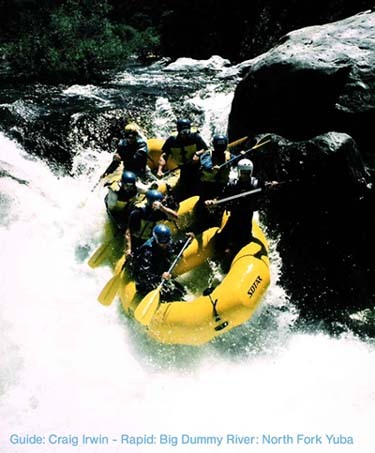 River safety, group dynamics, swiftwater rescue, swiftwater rescue certification through Rescue Three international, are all topics you find explored within kayakcraig.com. River knots and river trip planning are addressed. kayakcraig.com includes links to western river permits, run descriptions from a selection of international rivers, beta on creeks and rivers from Alaska to Ecuador. Watershed protection is of paramount importance for the continued existence of humans on earth. I have begun anew with my education into the Clean Water Act and stream restoration and I am now examining the quality of domestic and rural water supplies in America, which has been a dissapointing discovery overall. When I see trash in the river I really want to get it out. My hope is that someday all people will learn to respect the river and to respect each other. We all would do well to humble ourselves at the river, to think from the perspective of the river. Stand with us to provide a clean river to both nature and those who love kayaking. like Kerrisdale Roofing and Drains!